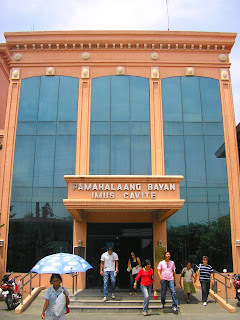 IMUS, Cavite, Philippines- This bustling municipality is gearing up for a series of festive activities aimed at reclaiming its rightful place in the country's history even as it also seeks to make itself known as the nation's flag capital. Organizers of the project dubbed "Wagayway Festival 2008" led by Mayor Manny Maliksi and Vice Mayor Mandy Ilano have expressed optimism that this year's activities will finally usher in a new era and create a new identity for their municipality. Wagayway means to wave, display or unfurl something that is folded such as in the case of a flag or a banner. The event derived its title from the fact that the first Philippine flag which was sewn by Marcela Agoncillo in Hongkong was first unfurled in Imus on May 28, 1898 following a victory by local revolutionaries against the Spanish forces at what is now known as "Battle of Alapan". In an interview, Mayor Maliksi pointed out that the five day festival which will begin May 24 and culminate on May 28 will jumpstart what they envision will be an annual activity comparable in magnitude and influence to such famous festivals in the country. "However, unlike other festivals which are religious in nature, this is a festival with historical and nationalistic theme. It will be celebrated highlighting the bravery and patriotism of the revolutionaries who won the Battle of Alapan in Imus, Cavite despite tremendous odds "he said. 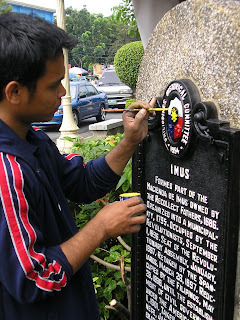 "It is guaranteed to become even more colorful than other festivals because we will fill almost every area of our town with Philippine flags to dramatize our claim to being the country's flag capital while also highlighting the bravery of our ancestors who fought against the Spaniards" Ilano elaborated. 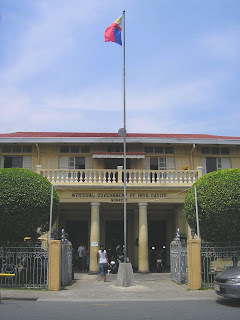 That victory battle paved the way for the eventual birth of the First Philippine Republic and the declaration of the Philippine Independence on June 12 of the same year by President Emilio Aguinaldo where he also unfurled the same flag in the nearby Kawit town. That single act of Aguinaldo led to the common notion among many ordinary Filipinos that it was in Kawit where the country's flag was first unfurled. However, both Mayor Maliksi and Vice Mayor Ilano are confident that the activities they lined up will establish Imus as a historic town as it will also make a name as one of the top tourist and investment destinations in the country. Aside from an array of festive activities, they also invited several well-known TV and movie personalities to liven up the event and attract more visitors. The festival shall commence with the colorful Flag Parade, giving a deeper respect to the icon of nationhood. Festivities shall include a game show, the “Lutrina” Sagala, motorcycle show, on-the-spot mural making contest, “Talakayang Kasaysayan” public forum, “Galing-Kalye” hip-hop showdown, “Kasaysayawan” ballroom dance olympics, “Birit Hear-It!” singing contest, “Concierto 110: Rock the Flag” concert. The festival will be capped by the re-enactment of the "Battle of Alapan" and the momentous Flag Raising Ceremony on May 28. Ube Jelaya: This one’s fried!